Share Our Strength's Cooking Matters empowers families with the skills to stretch their food budgets so children get healthy meals at home. 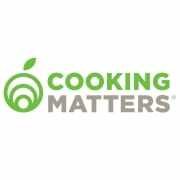 Cooking Matters MA envisions a future in which all Massachusetts children have the nutritious foods they need to grow, learn, and thrive, and all parents and caregivers have the knowledge and skills to prepare delicious, balanced meals. Cooking Matters MA partners with community organizations and volunteer culinary and nutrition instructors to offer six-week cooking courses and one-time grocery store tours to participants. Our participants are a diverse population of families, many of whom are enrolled in federal assistance programs such as the Supplemental Nutrition Assistance Program (SNAP, formerly known as Food Stamps) and Women, Infants, and Children (WIC). Through Cooking Matters programming, participants learn to shop smarter, use nutrition information to make healthier choices, and cook delicious, affordable meals.